Nicklaus Design, the global golf course design firm founded by golf legend Jack Nicklaus, is widely regarded as the world’s leading design firm, golf course designer Jack Nicklaus With a philosophy of working closely with clients, enhancing the natural environment, and creating courses that are both challenging and enjoyable for players of all levels, the company has close to 380 courses open for play in 36 countries and 39 states. 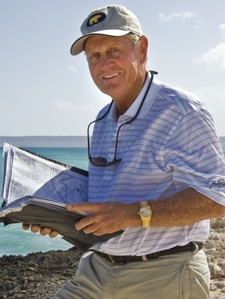 Of those golf courses, Jack Nicklaus has been involved in the design of 290 courses. At least 70 Nicklaus Design courses have been ranked by major industry publications like Golf Digest, Golfweek, GOLF Magazine and Travel and Leisure Golf, in various national or international Top-100 lists, and no fewer than 100 Nicklaus Design courses have hosted a combined total of over 750 professional golf tournaments worldwide or significant national amateur championships including events on the PGA Tour, the Champions Tour, the LPGA Tour and the Web.com Tour, among others. Jack Nicklaus and Nicklaus Design have been credited for elevating and enhancing the relationship between golf and luxury home communities. Since independent research began in the early 1990s, communities that feature a Jack Nicklaus-designed golf course as an amenity have resulted in the highest real estate value, the highest average home price, and the greatest velocity of home and lot sales. With the name Nicklaus behind a golf course, its value is enhanced tremendously. And that value will only grow with time.